Marlon from Missouri here. 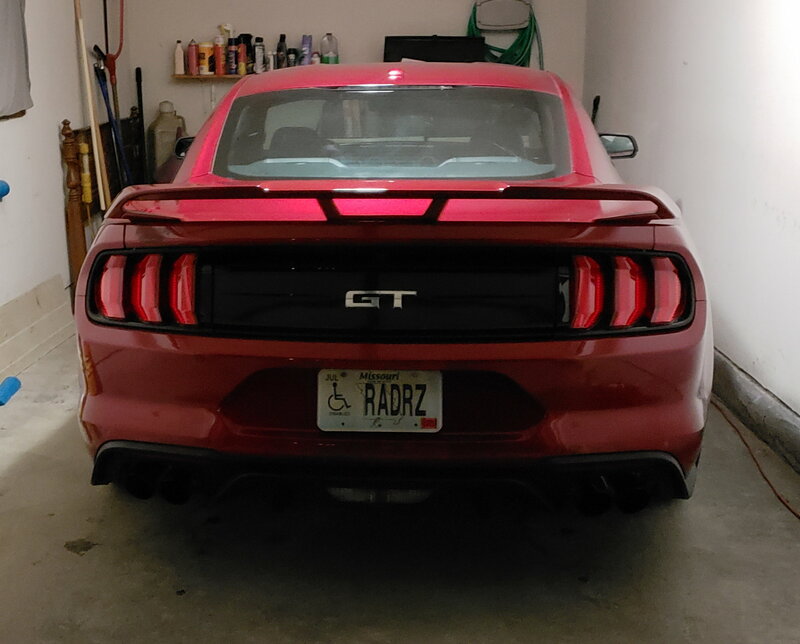 I've owned 3 Mustangs, and all were upgrades. The first was an Ingot Silver 2010 base coupe with the 4.0 liter V6. Traded that one in for a Magnetic Gray 2016 base coupe with the 3.6 liter V6. 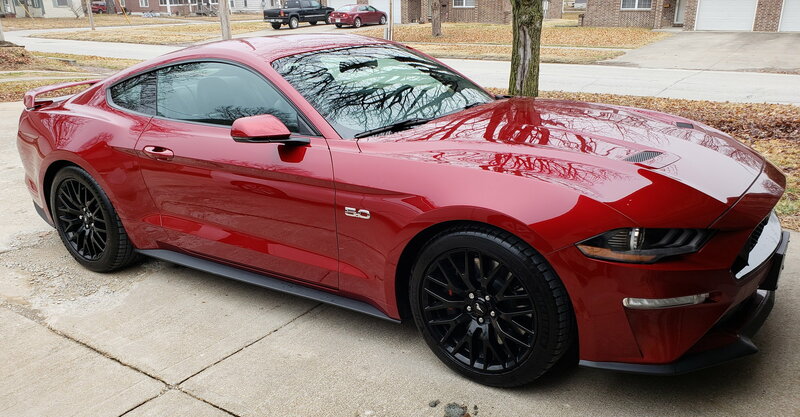 Now, I currently own a Ruby Red 2019 GT Premium. WOW! Is that car fun to drive!! Welcome and congrats! Now post some pics. Here ya go Mustang Freak! Last edited by momarlon; 12/26/18 at 05:29 PM. Welcome to TMS, congrats & good luck with the 19. 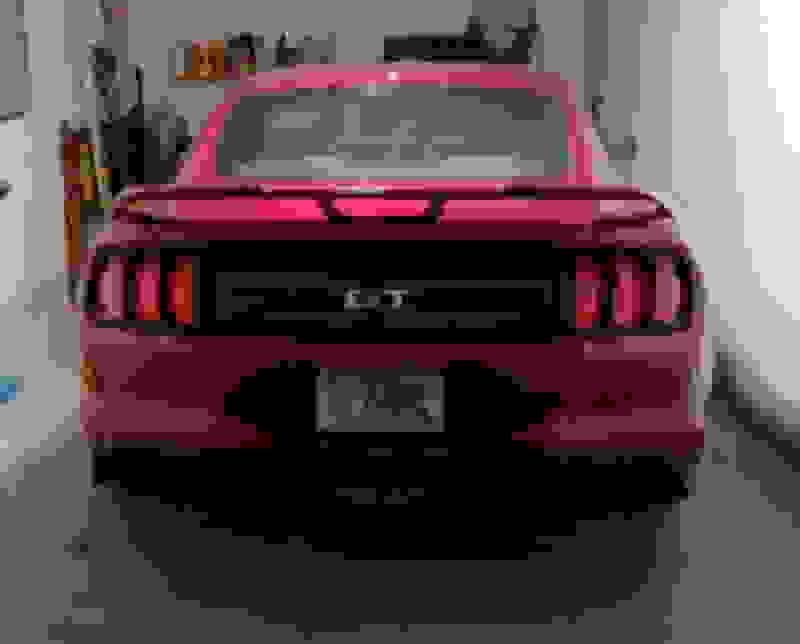 No, I intend to leave my Stang bone stock. I drag raced for 5 years in the 70s. I'd built another hotrod in the 80s and 90s. Unfortunately, due to health concerns, I've seen the last greasy side of cars. I do enjoy the fun in owning a sub 12 second car again, though. My GT has a quiet start feature. What's the fun in that? LOL!